Osmosis CC Cream is Back. They changed the packaging. Same great product, just a better looking package. It comes in 6 colors that blend in with the skin. So light and natural looking. A top seller for Osmosis Colour. You look smooth and natural-looking and uses Light Lifting Effects to bring out your brightest natural glow. Be sure to log in so you get your immediate discount in the shopping cart. 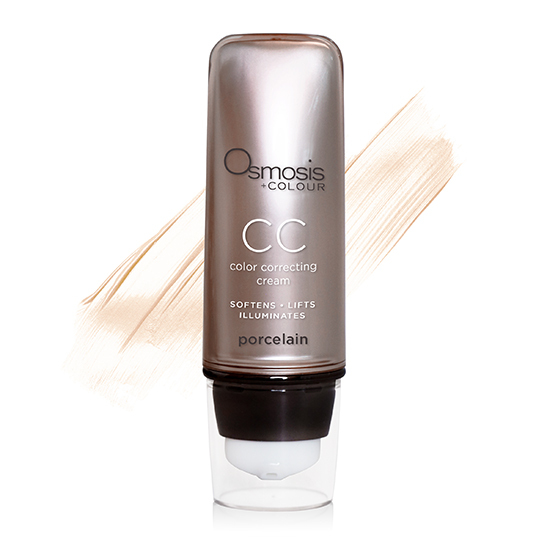 The new Osmosis Colour CC Cream is a natural-looking color correcting makeup transforming your skin. Offering UV protection and reducing age spots while giving it a bright even tone with lifting and hydrating benefits. 4 beautiful shades to choose from. True Tone Technology features natural makeup encapsulated in micro-capsules that burst to provide perfect pigments that transform into your own skin tone when applied. The exclusive Light Lifting Effects diffuse skin discoloration while giving the enhanced appearance of a brighter, more youthful complexion. When I was at the Las Vegas Skin Care Show, Robin, the President of Osmosis looked exceptionally pretty that day. I told her that her skin looked so good. 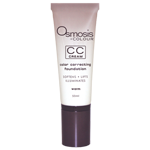 Robin told me that was the new Osmosis Colour CC Cream coming out in August and that everyone would love it. It is anti-aging as well. To purchase please go to my website http://www.karinherzog-jmilan.com. Please log in for the discounted price as the prices are not advertised. Will reflect in the shopping cart after log in.